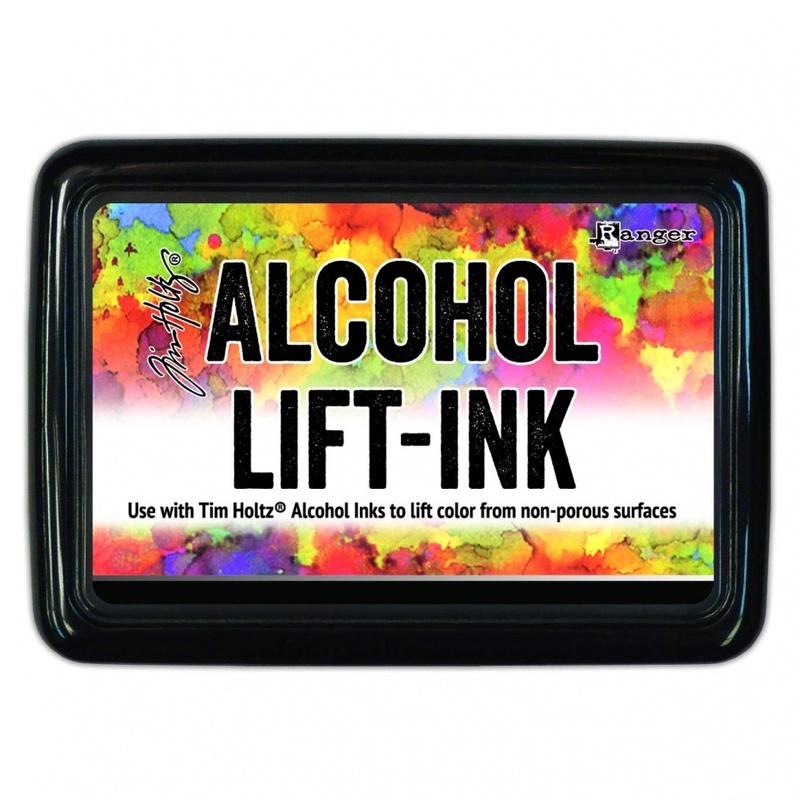 Tim Holtz Alcohol Lift-Ink is a clear ink, designed to lift colour from non-porous surfaces and transfer to porous surfaces. 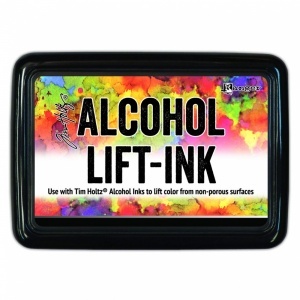 Use with clear or rubber stamps to remove ink from non-porous backgrounds created with Tim Holtz Alcohol Inks, and then stamp onto a porous surface to create two different pieces of art! Take a look at the video to see Tim Holtz demo this new type of ink pad.